ChadCo. 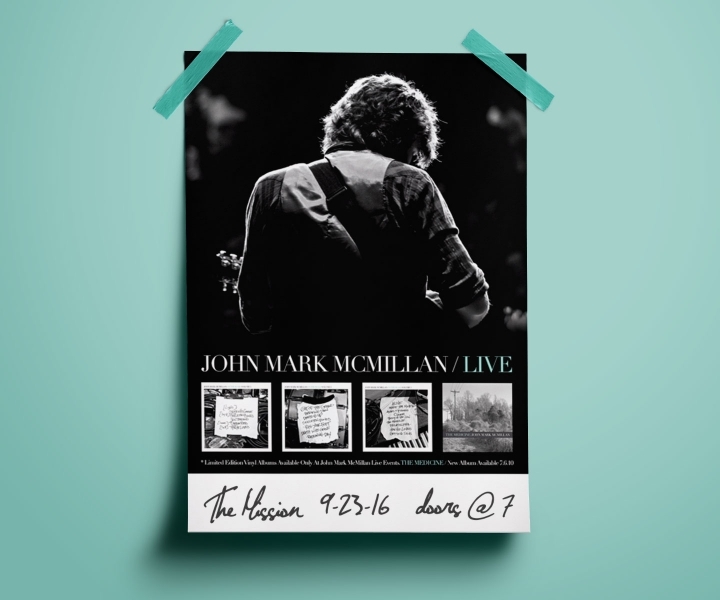 Studio designed this versatile tour poster for artist John Mark McMillan. 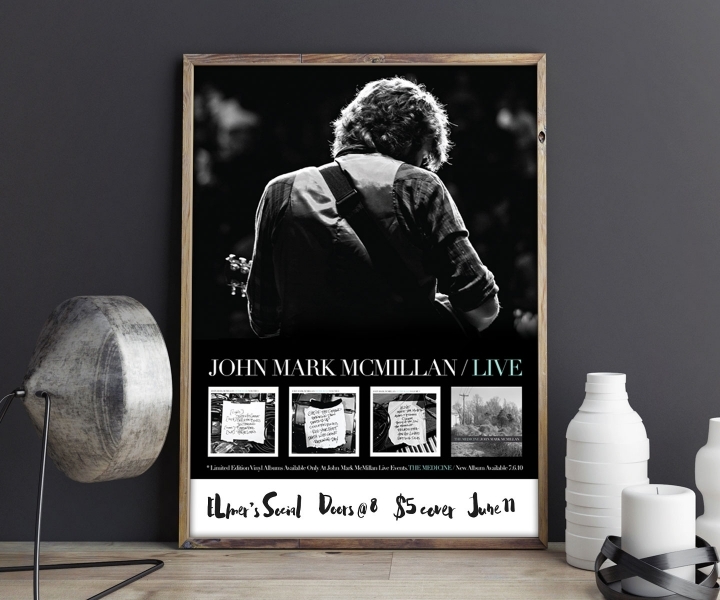 The label wanted to promote his recent series of vinyl records, along with his upcoming album The Medicine. They also wanted to leave the bottom area blank to promote venues and information.